Jeans are one of the must-have fashion staples for every wardrobe. They can be found in all styles possible and that is why you can never have enough pairs of them. And in case you plan on buying a new pair, then maybe you can look for a pair of boyfriend jeans. Boyfriend jeans are the type of jeans that are meant to make a statement even if you pair them with a plain tee and sneakers. They are often baggy and ripped and besides wearing them casually they are options of how to style them with a feminine twist. For instance, you can pair them with some fancy top, accessories and a pair of heels. 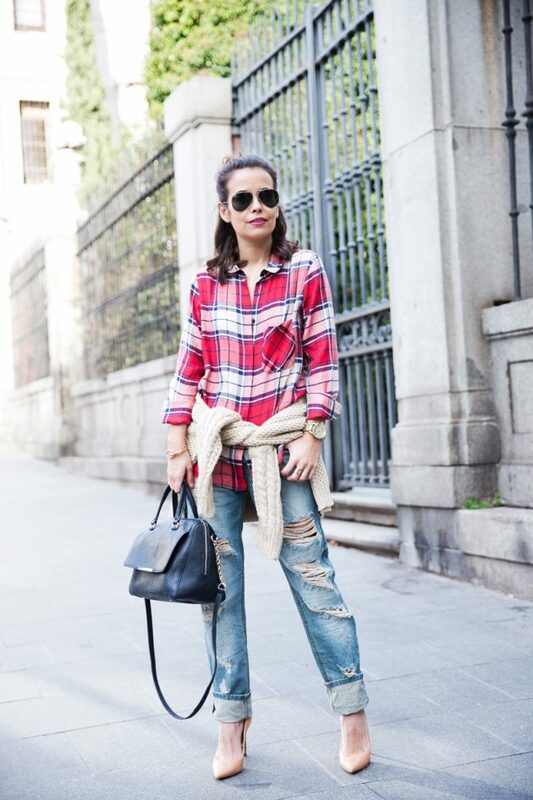 The possibilities are quite versatile and since boyfriend jeans can be found in so many versatile styles, you will for sure find the right one for your style. Let’s check out now several killer outfits that we have chosen for you and get inspired of how to make a statement with this trendy type of jeans. Enjoy! Jeans are like a timeless classic, so you won’t find it tricky of how to style them. You can pair them with all colors and prints possible. And whether you need a pair of baggy jeans without any holes, or maybe you want them to be both baggy and ripped, you will for sure find a pair of boyfriend jeans meant only for you. You may even pick some with embroidery, which is another fashion trend for this season. So, which one from the above killer outfits did you like the best? Tell us in the comments and make sure to stay up to date with the content of Fashionsy to find many other outfit ideas for your style inspiration.